New year, same coaching staff. For the first time in a little while, the Yankees didn’t tinker with the staff surrounding Joe Girardi and will go into their second straight season with the same coaches. That means Larry Rothschild is still the pitching coach, Alan Cockrell and Marcus Thames handle the hitters, Mike Harkey is the bullpen coach, Tony Pena and Joe Espada man the bases and Rob Thomson returns as the bench coach. This doesn’t mean the job will be easy for these guys just because they remain in their roles. Each of them may have their most challenging job yet with the Yankees promoting their youth throughout the roster. Girardi is entering his 10th season as the Yankees manager. Only two managers — Mike Scioscia with the Angels and Bruce Bochy of the Giants — have been in their current jobs longer than Girardi, who was hired in October of 2007. Stability hasn’t always been a trademark for Yankees’ coaches, but this is the second straight manager to last at least a decade. Not bad. This is a contract year for Girardi: his four-year deal ends after the season. As in past years, the team isn’t going to extend him early, which will lead to plenty of speculation that the Yankees will move on at manager. That seems unlikely: the Steinbrenners appear to be happy with Girardi’s performance thus far and that’s for good reason. Girardi has been solid as manager. Still, that storyline will play out this season, especially if the team gets out of the gates slow. In his 10th season, Girardi has perhaps his toughest days ahead of him. In the past, he’s been surrounded by veteran players who know the “Yankee way” and can indoctrinate the few young players moving onto the roster. But now Mark Teixeira, Alex Rodriguez, Carlos Beltran and Brian McCann are all gone in one fell swoop. The Baby Bomber movement has taken over with plenty of rookies, or at least inexperienced, players taking key spots on the roster. Girardi’s main job is making sure that all gels in the clubhouse. He has some veteran help with Matt Holliday’s addition or the continued presence of guys like Brett Gardner, Jacoby Ellsbury and co., but it’s still a challenge. For Girardi (and I guess Thomson), making sure inexperience doesn’t topple this team will be paramount to success. The one positive of having a younger roster is a lot less rest needed all around. Starlin Castro, for example, has played 151 games or more in five of the last six seasons. Fewer achy vets like A-Rod and Tex means more days with the team’s optimal lineup, whatever that may be. Another change to the job will be instant replay. MLB has mandated that teams are quicker in requesting replays this season, so there will be less of the manager holding up play while the team’s replay people check it out. The Yankees’ guy, Brett Weber, will have a tougher job this year (NY Times profiled him last year) and the team may need Girardi to go with his gut on challenges. The Yankees were the second-best team at getting calls overturned percentage-wise last year (Royals), but they also requested the fewest challenges (just 28). Maybe Girardi takes more chances with it and risks being quite as efficient in 2017. Finally, Girardi’s job comes down to the bullpen. He once again has a strong back-end with Aroldis Chapman and Dellin Betances. I expect Chapman will have the 9th, Betances usually just the 8th and Tyler Clippard and Adam Warren would then be dispensed for the middle innings along with maybe Ernesto Frieri? Don’t forget Tommy Layne as a LOOGY! Girardi loves to get the platoon advantage. And that’s not a knock on Girardi. His bullpen management is his best trait and is likely why the Yankees consistently outperform their Pythagorean record. He both has strong relievers to utilize and then actually utilizes them well. I don’t expect anything different in 2017. Cockrell and Thames return, but many of their disciples do not. The two have been handed some interesting projects this season. They won’t have to worry too much about the veterans like Matt Holliday. Instead, they’ll have to work with 6-foot-7 rookie Aaron Judge to keep his strikeouts down or with Greg Bird and Gary Sanchez to make sure their rookie performances aren’t just mirages. It’s tough to ever pinpoint exactly where a hitting coach makes his mark — best example for the Yanks in recent memory is Kevin Long working to correct Curtis Granderson’s swing in the summer of 2010 — but any breakouts this year could come from Cockrell and Thames’ tutelage. Let’s hope they can make plenty happen. This season will be Rothschild’s seventh with the Yankees. Wow, feels like it’s been fewer but then you remember him working with big Bart in 2011 and others in the early 2010s. For the most part, Rothschild doesn’t have a new pitcher to work with this season. There are three veterans returning to the rotation, most of the bullpen was there at some point last season and even the guys fighting for the last rotation spot have big league experience (except Jordan Montgomery). Rothschild will be judged on his ability to coax some solid seasons out of those back-end starters. Whether it’s Bryan Mitchell and Luis Severino or Chad Green and Montgomery, there’s a lot of work ahead for the Yankees’ pitching guru. Rothschild has been known to get pitchers to increase strikeout totals, but getting a guy like Severino or Mitchell to improve their command will be much tougher. It isn’t even necessarily on Rothschild if they fail. Sometimes, that’s just the way it goes with young pitchers. What can you really say about the rest of the staff? If you have a hard time accessing the performances of the hitting and pitching coaches, it’s even tougher with the bench or bullpen coach. 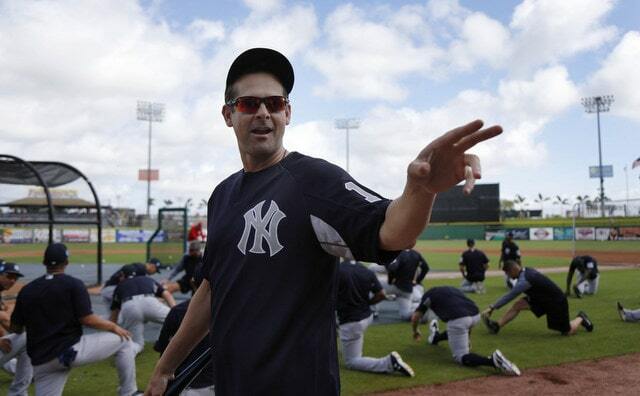 Harkey begins the second season of his second stint with the Yankees. Seems like he never left for the desert, eh? Meanwhile, Thomson has been with the Yankees since Girardi came aboard and has been the bench coach in two stints sandwiched around his time as the third-base coach. 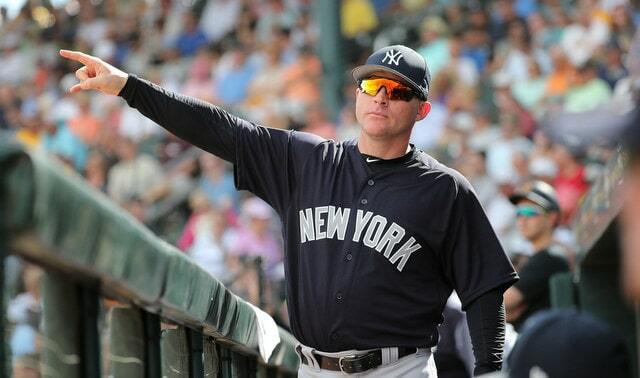 The bench coach seems like both another person for the manager to bounce ideas off of and another voice to work with the 25 personalities populating the Yankees’ clubhouse. Either way, Thomson has been solid enough in his role to stick around for 10 years. Tony Pena has been here even longer. This will be his 12th season as a Yankees coach, now the first base coach after fulfilling other roles under Girardi and Joe Torre. Pena seemed to do a solid job as the Dominican Republic’s manager during the WBC and one has to wonder if he’ll be in consideration for another managerial gig (previously with the Royals) in the near future. Pena has a new full-time guy in Sanchez to work with behind the plate, which surely has him excited. And then there’s Espada. He’s been perfectly fine as the third base coach. Like anyone in that position, he gets a ton of notice when he makes a bad send but otherwise has been left alone. He served a similar role for Puerto Rico at the WBC. If anything has changed for him, it’s that there are fewer base-clogging veterans like McCann or Teixeira and maybe a little more speed in the Yankees’ everyday lineup. Not much, but some. May be to Espada’s advantage in sending runners.